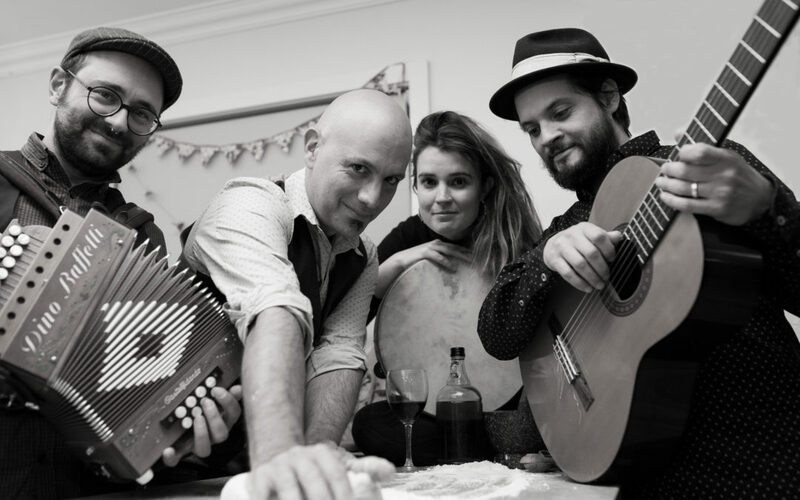 Santa Taranta is a Melbourne-based band playing a mix of original music and traditional music from southern Italy. The group has won over crowds at the National Folk Festival, Illawarra Folk Festival, Brunswick Music Festival, Piers Festival, Fairbridge Festival, as well as many concerts at prominent Melbourne music venues. Founding member Salvatore Rossano, Ethnomusicologist and polyinstrumentalist, has been playing the music of Southern Italy since adolescence. Francesco Bufarini, also has a long and rich history with traditional Italian music and dance. Emiliano Beltzer is a fine guitarist and bass player from Argentina, with a history in classical, jazz, rock and folklore. Hayley Egan is a vocalist and linguist with a background in world music and traditional storytelling through song.